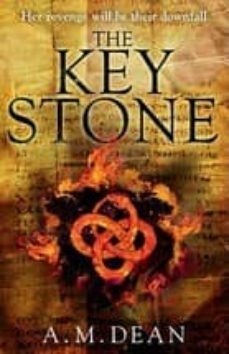 A Key, Lost for Millennia While tracking down the relic hunters who murdered her cousin, Dr Emily Weiss and her husband Michael are seeking a dangerous artefact. This ancient key lies hidden in the Egyptian desert and will wreak havoc in the wrong hands. A Religious Order, Promising the End In Chicago, the Magnificent Mile is about to go down in history. A dangerous sect is preparing for an explosive Independence Day parade and the finishing touches are being put on a device that will wreak untold havoc on the city. An Attack, Shrouded in Mystery Soon Emily, Michael and the ruler of the sect are racing to Egypt. One party craves retribution, the other seeks spiritual ascendancy, and both sides will do whatever it takes to succeed. But can Emily and Michael stop the sect before they transform an ancient promise into a very modern curse?